gundam, S.I.C, music, & others. wow...!! what a wonderful day we have today. i'm sure our friends who celebrate this day would like too. well... happy new year for you who celebrate it. Ang Pao please hehehehe ^^. 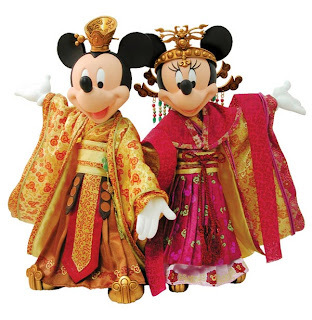 To celebrate the Chinese Year of the Mouse in 2008, Hot Toys of Hong Kong is delighted to bring you the first ever Chinese Style Mickey and Minnie Mouse collectible figures. mmmm penggemar Mickey Mouse ya..?? 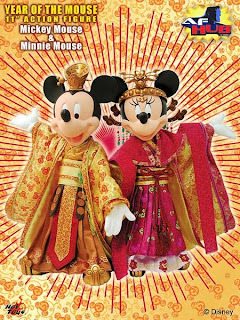 Mickey n Minnie Mouse bagi-bagi angpao hehehe..
tumben2an ada mickey mouse nyangkut di sini he..he..
imut kan kayak bukan gw loh??? yah untuk si neng sih abang rela...lohh?? ?